This is a history of the dramatic events which led to the collapse of Charles I's authority in England, Scotland, and Ireland in the 1640s. Conrad Russell links incidents in the king's three domains to construct a narrative account which makes sense of British history, as well as of the national story of each country. 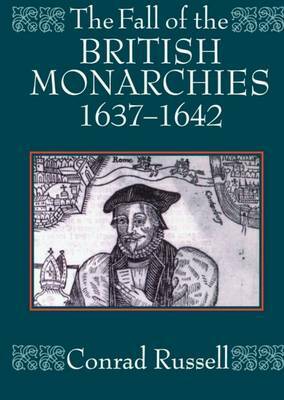 The Fall of the British Monarchies distilled from the broad range of Professor Russell's research over many years, offers a new interpretation of one of the most fascination periods of Briish history. It traces the important role of the scots in dividing the english, and examines the Irish rebellion in its contemporary context. Above all, Professor Russell uncovers the role played by the king himself, and argues that Charles Stuary was not the passive figure portrayed by so many historians, but an active protagonist in the political events which were eventually to lose him not only one crown but three.